A dental crown is a strong, natural-looking permanent tooth restoration that covers the top of the damaged tooth. At Mason Dental in Grapevine, we use dental crowns to solve a number of dental dilemmas. Before we can attach the crown to your tooth, we must prepare the tooth. We may give you a local anesthetic so you won’t feel pain during the prepping. We will remove decay, if any, and shape the tooth to receive the crown. Then a mold is taken of the prepped tooth and surrounding teeth. A temporary crown is then placed on the tooth to safeguard it until you return to receive the permanent restoration. The patient needs to be careful while wearing the temporary crown. Vigorous brushing or flossing can displace the crown or damage the exposed soft tissue. The patient should also refrain from eating extremely hard foods like nuts or sticky candy. The mold of your teeth is sent to a dental lab where your crown is fabricated. Dental crowns are offered in three varieties: tooth-colored crowns made of resin or porcelain, porcelain-fused-to-metal, and solid metal crowns. Each type has its benefits and drawbacks. Your dentist will choose the best crown material for your particular tooth. At Mason Dental in Grapevine, we offer Cerec same-day crowns. 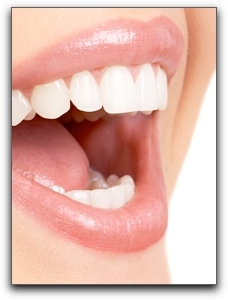 We also offer general dentistry and other services. Schedule an appointment with us today.